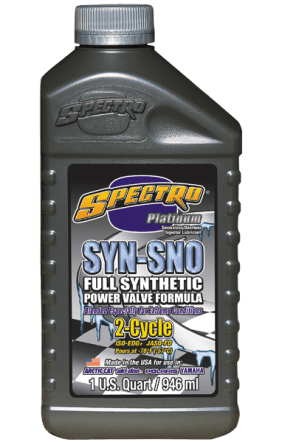 This low ash, low pour synthetic lubricant keeps power valves and exhaust systems free of carbon deposits. No engine oil burns cleaner. Virtually smokeless, and flows to -57° Centigrade. May also be used as a pre-mix oil for racing applications. Excellent performance in Rotax snowmobile engine tests. Exceeds JASO FD, ISO-L-EGD + and API TC test requirements. For use in all — any year, no restrictions — two-cycle Arctic-Cat, Polaris, Yamaha, and Ski-Doo snowmobile engines.